fACEBOOK MARKETING CAMPAIGN for YOUR BUSINESS. We inspire and engage your fan base with targeted Facebook marketing strategy. Our online promotion campaign is very much customised based on what people search, like, share and make purchase decision. We recognise each brand and it’s customers are unique and defined specific strategy for it. As a dedicated Facebook marketing agency in Ahmedabad we help building a talkative brand that your customers get to notice. We work not only with defined and customised strategy but also with in-depth understanding of how individual customers behaves on Facebook. With our customised Facebook Marketing campaign we help you get more leads & more sales. We will help your brand to stand out from clutter. Welcome to Ahmedabad’s specialist Facebook Marketing agency. We are an agency that speaks to right set of your customers at right time and right message to generate leads and convert them as customers. We target your customers based on our social media strategy and built reputation through re-marketing campaigns. Our campaign involves deep research on customers online behaviours, pattern of their like and share, how and what they follows, interests and their buying journey. Brand Core Media keeps your brand afloat digitally and put in front of your customers to ensure your business not only survives but makes profit from your fans and followers. we work with some of the biggest brands, corporate houses, startups and political personalities to run their Facebook marketing campaigns. Let us design a powerful Facebook marketing campaign for you and your brand that gets better coverage, higher conversations and good returns on investments. Launched few years back during the boom of online social networking, Facebook today enjoys it’s robust status as most appreciated and used social networking site. Facebook have touched every seventh person on the earth with active users closing to one billion. And, this actually motivates individual marketers to multinational organizations for employing this wonderful opportunity for reaching to the targeted and segmented market with ease. No other marketing vehicle gives as targeted reach as Facebook. As a creative web design expert and Facebook Marketing Company Ahmedabad, it is vital that Brand Core Media keeps in touch with current business trends, consumer preferences, communication technologies and challenging avenues for digital marketing and advertising. Brand Core Media works as a trendy Facebook marketing company to incorporate this service into it’s Internet marketing portfolio to help clients and built two way communications. Before planning for Facebook marketing and hiring some well known Facebook Marketing Company, one should know what exactly the Facebook marketing is? It is in reality one of the most incredibly and popular online communication channel organized through social networking website to promote brand or business or individual to the masses, but always targeted and segmented. It is an ideal representation of how web 2.0 has changed the world of Internet and people opt for the technology. Earlier, before the rise of the Facebook and Facebook Marketing techniques, social networking at large was understood as a modest process of online chat, messaging, sharing media files like image, music and video and participating into groups and events. With a humble beginning of Orkut and then taken over by Facebook, Twitter and MySpace are the three most popular networking website for connecting people and igniting communication. Facebook marketing here obtain an advantage of rapid growth of audiences and interest shown by companies for promoting business, brand and individuals. Hey! Are you looking for Facebook marketing company in Ahmedabad? Measurable: Companies can track and monitor each amount paid for advertisement. Pocket Friendly: Low establishment cost, managing profile and page is even cheaper. Communicative: Two way communication with real conversations and reviews. Flexible: Highly flexible and can be used to promote any mean of awareness, information sharing, brand promotion or sales. The key to successful Facebook marketing campaign is greatly depends on the marketers’ ability to use to appropriately, and this is where the importance of the Facebook marketing company comes on. It is easy to start any campaign but how it is floating through the Internet, how truly it is reaching to the consumer is rely on how it is implemented. Be it a large scale organization, small company or individual; making a page to tell your customers, friends and other people what you are offering is easy and anybody can do it. However it is equally difficult to identify the right consumer, talking with them and not just liking but getting reviews and remarks from there. Professional Facebook marketing company organized with Internet marketing professional and brand strategist help you to make such favour for your brand. 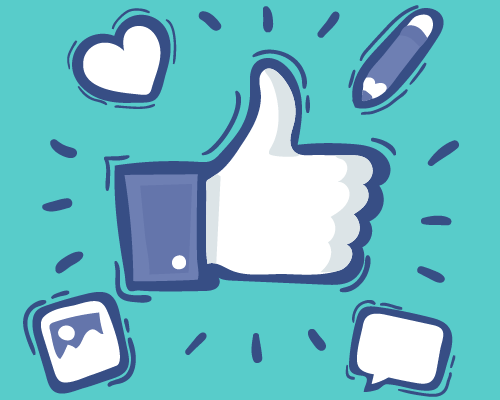 WHAT BRAND CORE MEDIA AS A FACEBOOK MARKETING COMPANY CAN DO FOR YOU? Brand Core Media is an Internet marketing company specializing in contemporary marketing, consumer trends analysis and manufacturing the most affordable marketing and advertising solutions. As a brand strategist, Facebook marketing is simply one of the many services that we offer. We take advantage of word of mouth communication, media sharing, viral marketing, consumer awareness campaign and resolving bad experiences to make your brand super successful through Facebook platform. We make sure that your brand campaign designed to get noticed and grab enough attention to insure interaction and action. Facebook Ad Target Audience Identification: We help you to find the right target mix of your brand matching to your business and geographic location. It also includes finding estimated users’ size and cost of advertisement. Facebook Fan Page Development: This is one of the most essential parts for any brand to have on Facebook, one of such thing where Facebook Marketing Company can help you in large way. We design and develop fan page with exact match to your requirements with all integration of other social channels like Twitter, YouTube, Blog, News Feed and programmed page. Designing: As a Facebook marketing company while planning for any campaign, we always prioritizes the design part including the profile image, background, cover image, ad campaign image, other creative parts on the wall and more. We design every image especially for your audiences. Analytical Monitoring: Using the combination of Facebook Adverts and Google Analytics we report back with the full details of engagement and reach of the campaign. Measuring ROI: For any Facebook marketing company, it is important to inform clients with regular update on periodical ROI, performance reports and total cost Vs conversion rate.